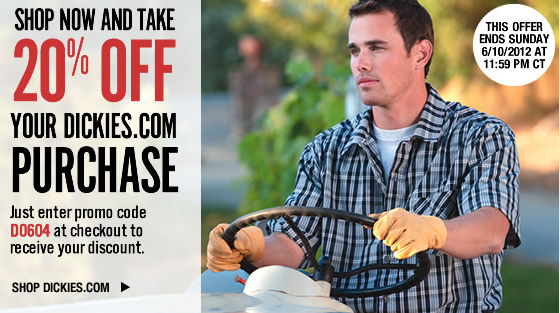 Beth Ann & Jessica's Helpful Savings: Dickies: 20% off your order and 3% cash back from Shop at Home! 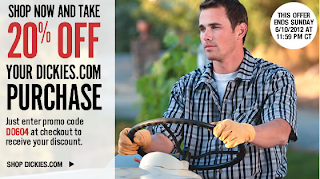 Dickies: 20% off your order and 3% cash back from Shop at Home! Plus, go through Shop at Home for up to 3% cash back!